My good friend and fellow presenter Nolan Burris likes to refer to your only competitive edge as being “consultative.” Although the down and dirty definition of a consultant is a person who gives professional or expert advice, I believe the meaning goes a bit deeper. Giving advice is one thing. But providing the “right” advice given the current set of circumstances is what will lead to a healthy business relationship. And this will not come by accident or with the proper alignment of the stars. In the true sense of the word, you are a curator of helpful, pertinent, useful, meaningful information. But if this definition is going to hold water, you must do a great deal of probing to make certain you are singing from the right hymnal (Poetic license). A doctor who administers treatment before proper diagnosis is guilty of malpractice. Decide to distance yourself from the competition by introducing a very welcomed practice — ask more questions and listen to the response before sharing your professional opinion. If you are not familiar with this professional sales approach you may find yourself talking too much too soon. The old school implies that you are the expert and infers that you should be doing all the talking. I am afraid that has become yesterday’s news. Today, talking too much is a clear sign of amateurism. 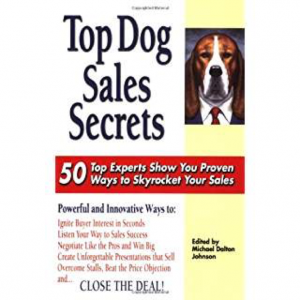 Questioning skills has become a leading determinant in top-level sales professionals. As today’s quote reminds us, it is a “powerful” skill that you simply cannot afford to overlook. Focus on asking more and better questions.